Sun Boss has been improving homes in Southern California since 1947. We specialize in room additions to sunrooms, patio covers to awnings, decks to second story decks, replacement windows and so much more. We also have the most environmentally friendly products available on the market today. Over 75,000 local customers have trusted Sun Boss to design, engineer and bring their dream project a reality. Our motto is to provide exceptional customer service and the highest quality product at a very affordable price. From the most basic installation of a solar powered attic ventilation system to a complete rebuild of your second and third floor, Sun Boss has you totally covered and protected with all the proper certifications and insurances. Your peace of mind is our JOB! Sun Boss Corporation has been owned and operated by the Kain family since 1947. Since John Kain founded the company, the Kains’ put every effort into seeing that Sun Boss offers the highest quality products in the industry. Since David Kain took control of the day to day operations at Sun Boss the Kains have managed to stay true to their original goals. The goal to service our clients needs at the highest levels is made possible by the Sun Boss family of employees that assures your satisfaction. Our Production Manager is Donn Stanley. Donn oversees all phases of your project, from start to finish. He started out installing these products in the 1970s. He has 30 years experience installing, laying out jobs, and fabricating the materials that go into our projects. The last six years he has managed not only the local jobs but also our installation crews. Every one of our installers are professionally trained to specifically install our products. We emphasize this because of the number of one-man operations that do everything from plumbing to remodeling,seemingly not specializing in anything. 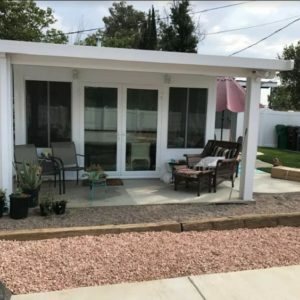 We specialize in full service sunroom and construction remodeling, and that is all we do. Sun Boss offers all phases, from original design/concept to drafting, engineering services through permits and on to final turn key construction projects. 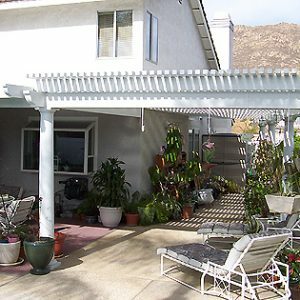 Sunboss is your Room Addition and Sunroom Specialist serving all of the Riverside, CA Valley including: Riverside, Redlands, Yucaipa, Corona, Chino Hills, Chino, Diamond Bar, Rancho Cucamonga, Pasadena, Palm Springs, Palm Desert, Indio, La Quinta, Ontario, Lake Arrowhead, Crestline, Escondido and surrounding cities. Call us today at (951) 824-7184!